With everyone offering you the "best stay" in London, and you are still left wanting some more, it's time to come experience a lovely stay that is better than the rest. And in what may be probably the best four star stay, money can buy!!! Come experience London, the way it should be!! Park Grand London Hyde Park brings you an experience of the most tasteful grace for those who appreciate the art of living well. 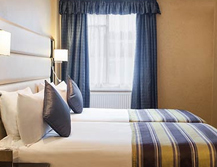 Inspired by the best and expertly presented for those who expect nothing less, a stay at the Park Grand London Hyde Park offers the ultimate value for money, a cozy experience with distinct feel of opulence. A short walk from Paddington mainline station, this contemporary and sleek 4 star property is set right in the heart of London's most tasteful and desirable location. High speed express rail links into Heathrow brings you into Paddington in under 30 mins. 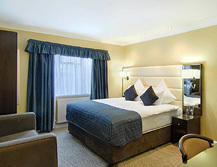 Savour the benefits of booking direct. Enjoy a 50% saving on your food bill when dining with us, exclusively for guests booking with our Best Available Rates on our official website.